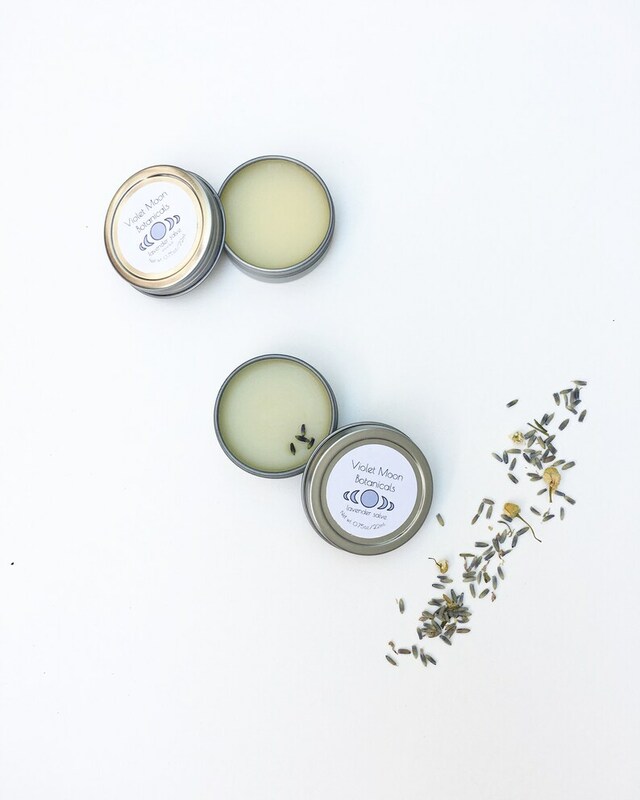 Soothe and protect skin with this rich lavender salve! Handcrafted with a mixture of hydrating, vitamin rich sunflower oil that has been infused with lavender and chamomile for extra skin soothing properties, and beeswax to trap in moisture. This salve is the perfect choice to help calm and protect dry, damaged skin. This salve also makes a great nighttime dream balm to apply before sleep, and is great for putting on scrapes and cuts. Perfect for sensitive skin. A little goes a long way! Travel size tin with a screw top lid means you can throw this salve in your purse and always have it on hand! Your choice of light herbal and beeswax scent, or lavender - chamomile scent. Lavender has been used for thousands of years as a bath and perfume addition, and in ointments to calm skin. Lavender buds are high in antioxidants that help nourish skin. Chamomile flowers have been traditionally used to soothe sensitive skin, and are rich in anti-inflammatory and antiseptic properties. Chamomile is a great skin protectant and can help promote healing for minor scrapes and abrasions. Sunflower oil is know for its non-comedogenic nature so it won't clog pores. Sunflower oil is rich in oleic acids as well as vitamins A, D and E that deeply condition skin, and leave skin hydrated and nourished. Lavender essential oil adds even more lavender scent for an indulgent floral scent. 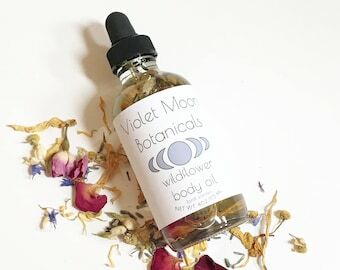 The chamomile flowers, and lavender infused in this product are straight from my organically grown garden, where I harvest and dry fresh California herbs and flowers by hand. 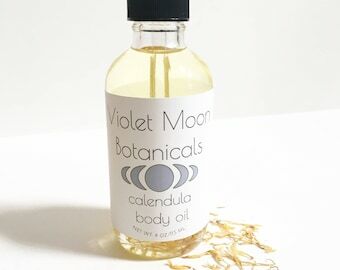 Ingredients: oils and waxes that have been infused with chamomile flowers and lavender buds: beeswax, sunflower oil, vitamin E. The Scented version also contains lavender essential oil and blue chamomile essential oil and is topped with a sprinkle of lavender buds. For more natural beauty products including healing salves, natural scrubs, moisturizing lotions, bathing flowers, floral bath salts, natural, herbal skincare items, vegan bath products, and other spa and relaxation gifts for her check out our etsy homepage!